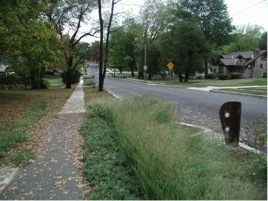 Last year, Kansas City, Missouri (KCMO) installed rain gardens, bioswales and permeable pavement along a public right-of-way throughout a 100-acre area of the Marlborough neighborhood. 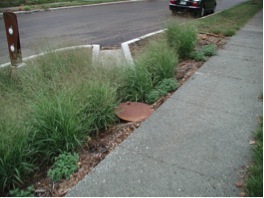 Along with the U.S. Environmental Protection Agency, the city assisted eight homeowners with the installation of demonstration rain gardens. Additionally, 20 rain barrels were installed and 20 roof drains were disconnected from the sewer system. The KCMO Overflow Control Plan designated $28 million for implementation of green infrastructure in the Marlborough pilot. The goal of the demonstration projects is reduce combined sewer overflows that contaminate the Blue River and its tributaries with over 6.4 billion gallons of untreated sewage and stormwater. The city had considered two underground storage tanks to store three million gallons of combined sewage overflow. 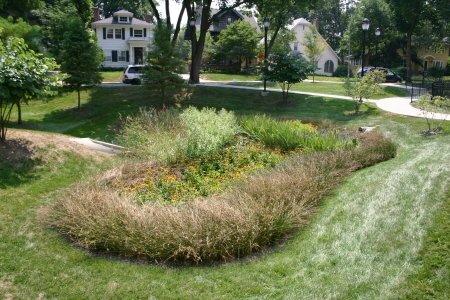 Analysis revealed that green infrastructure throughout the sewershed could reduce capitol costs. 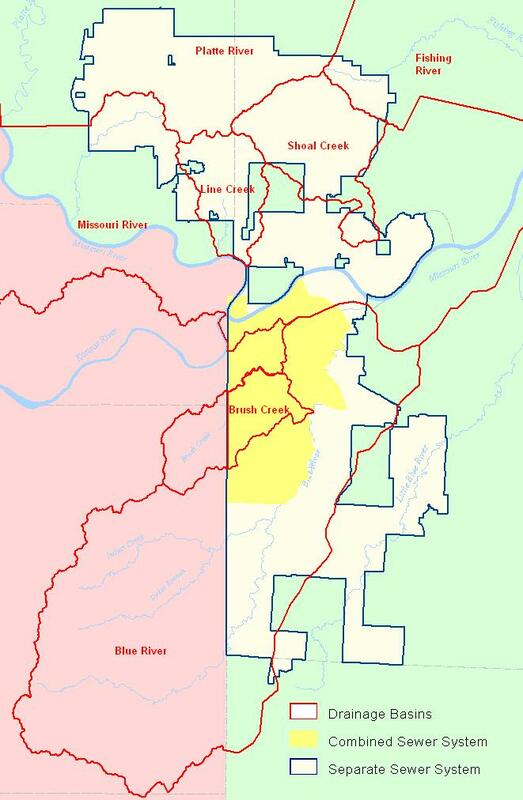 This map shows Kansas City’s major receiving water bodies and watersheds. A year later, the green infrastructure pilot projects were tested when the neighborhood received between five and seven inches of steady rainfall over more than twenty-four hours from the remnants Hurricane Isaac. Less than six hours after the rainstorm subsided, the precipitation had soaked into the green infrastructure. The approved KCMO Overflow Control Plan also includes $40 million for the implementation of green infrastructure across a 744-acre sewershed. The plan also includes $5 million for rain garden and downspout disconnection programs, $5 million for green infrastructure workforce development, and $24 million for monitoring and modeling. Kansas City was recognized by the Natural Resources Defense Council for taking three of six key steps that focus green infrastructure investments on long-term comprehensive improvements. These key steps are guidelines through which all Connecticut municipalities can set achievable long-term goals to advance cost effective green infrastructure practices. In addition, KCMO has demonstrated how diverse coalitions working together can innovate to reduce infrastructure expenses. 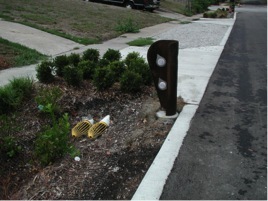 EPA provided more than $1 million dollars to assist in Kansas City’s green solutions effort through its National Risk Management Research Laboratories in Cincinnati, Ohio, and Edison, N.J., and its Region 7 office. Partners on this project include Mid-America Regional Council, City of Kansas City, Mo., University of Missouri-Kansas City, University of Alabama, Tetra Tech EMI, Shockey Consultants, Marlborough Coalition and student volunteers. An additional $250,000 was provided to gather monitoring data from the pilot project area. Today’s guest post is by Mary Rickel Pelletier, director of Park Watershed, Inc.